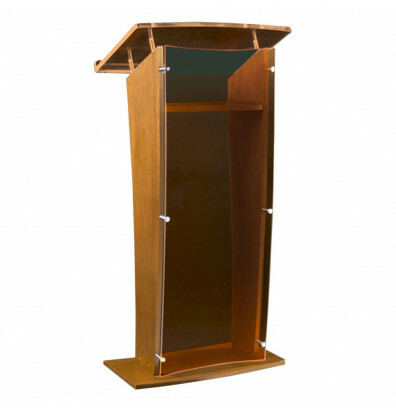 Amplivox wood and acrylic floor lectern provides a comfortable and functional worksurface for presentations. 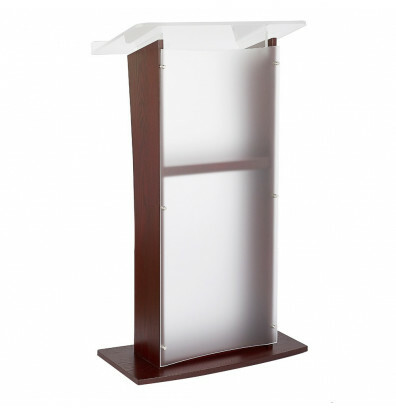 Amplivox wood and acrylic floor lectern provides a comfortable and functional worksurface for presentations. 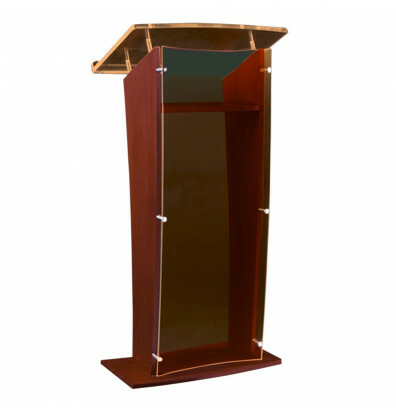 This lectern is constructed from solid hardwood and designed with a unique "H" shape. 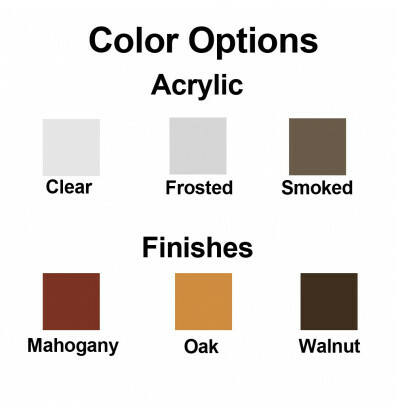 Features a spacious acrylic reading surface made from durable 1/2" thick acrylic. Ships fully assembled. 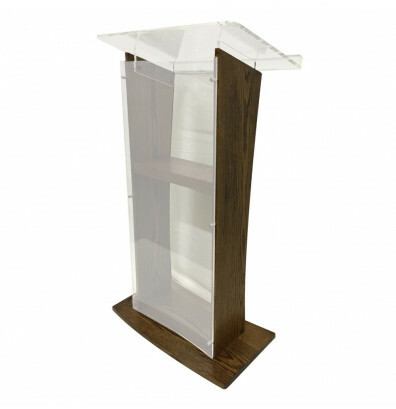 This wooden and acrylic lectern is available in multiple colors of acrylic and wood.